Today I was at Cliftoria mowing the lawn while waiting for a trades person to maybe turn up. Alas they didn’t make an appearance but have promised to be there tomorrow morning. I took a picture of the mantlepiece that was gifted to us. As we have so many fireplaces without mantles we will indeed use this one. I like the style of it with its curves. I’m no expert but I suspect it may be somewhat Art Nouveau or at least more modern than the Victorian era. 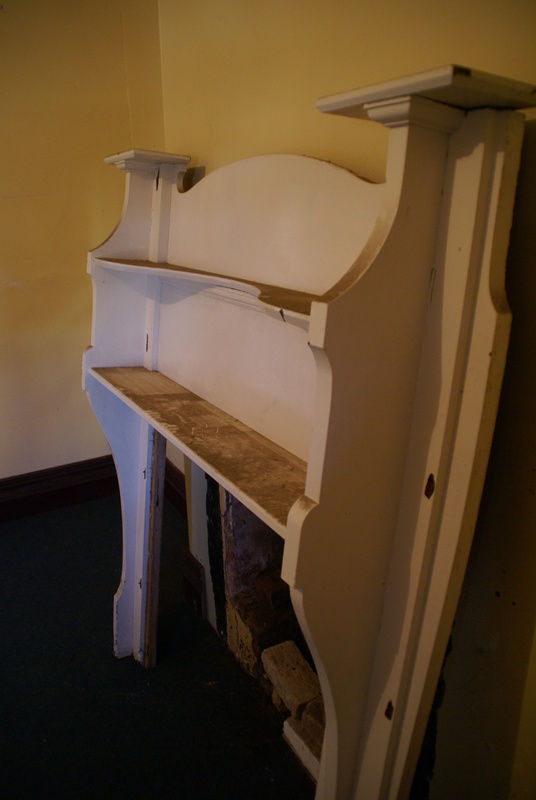 A quick scan of Victorian mantlepieces show a more boxy style with architectural features like columns. It was very nice indeed for the neighbour to give it to us. Art Deco, Art Nouveau would be all leaves and swirly bits. Still beautiful. Would be beautiful stripped. Thanks. I knew it was one of the Art styles from early last century. Very modern compared to Victorian but will be used in a room for sure. The white paint does seem too thick and not quite right.